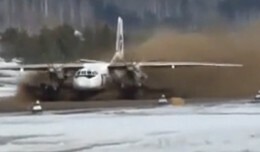 Is This The Most Dangerous Takeoff Ever Captured On Video? These old Russian planes were built to plow through just about anything within reason, but these pilots throw reason into the mud. 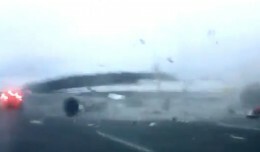 The Saturday crash of a Red Wings Airlines Tupolev Tu-204 was captured by the dashboard-mounted camera of a car. 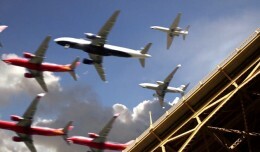 The busiest single-runway airport in the United States gets some creative planespotting treatment from filmmaker Cy Kuckenbaker. In the spirit of the Bad Lip Reading series, someone has created a hilarious remix of Delta's classic preflight safety video. 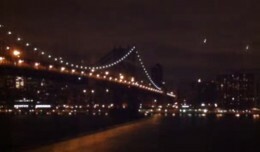 Live feed of the East River just east of the Manhattan Bridge from a "Zone A" building in Brooklyn.